Excellent 18-hole courses include the championship courses of Royal Hobart, Tasmania Golf Club, Kingston Beach and Claremont in the south of Tasmania, and Launceston Country Club, Devonport and Ulverstone in the north. Tasmania also offers some of the most spectacular golfing backdrops. The magnificent Barnbougle Dunes and Barnbougle Lost Farm at Bridport are both true seaside links courses in the authentic Scottish style and are widely acclaimed as two of the nation’s finest golfing experiences as are the more recently opened Cape Wickham and Ocean Dunes, both on King Island. Golfers are now also travelling to their dream golfing destinations like Barnbougle in Tasmania and, more recently, King Island like rock stars in private charter aircraft. Chartering an aircraft for golf trips to Barnbougle and King Island has become an easy and affordable way to travel in style to Tasmania. Some new King Island/Tasmania trips include the one or two-day tours which gives you the option of either a day trip with a full round of golf, or overnight with two rounds of golf plus accommodation. Prices are from $690 per person (Day trip) or from $880 per person (Overnight) and include airfares, golf, accommodation and pull cart and transfers to/from airport. 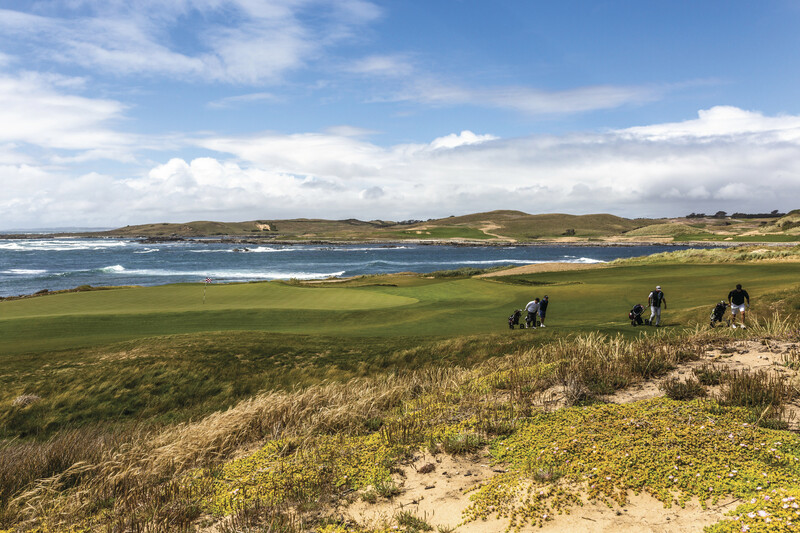 For golf tragics looking to add even more excitement to their trip, G&T can also arrange three and four-day Barnbougle + King Island tour, which allows you to play three of world’s most remote, exciting and highest ranking courses in one easy trip. This trip includes flying directly from the fairways at Barnbougle Lost Farm to King Island. Pricing starts at $1,790 per person and includes your private charter flight, two nights’ accommodation, three rounds of golf and transfers. A four-day option with four rounds of golf is also available from $2,075pp and has become the most popular option given you play three courses in the world top 40 including Ocean Dunes which officially opened in September 2016. If you are looking for a luxury, easy bucket-list trip, contact us to book yourself a golf trip in style! To request a quote for your own bespoke and unique tour to King Island or anywhere in Tasmania, please complete the form below. We will be back in contact as soon as we receive your submission. Start packing your bags! Do you require flights to/from King Island to be included in your quote? King Island lies off the north-west coast of Tasmania, surrounded by a rugged coastline with fresh seafood, famously good produce and some of the cleanest air in the world. There are also two stunning world-class golf courses on the island, Cape Wickham and Ocean Dunes, both seaside courses designed in the Scottish links tradition. 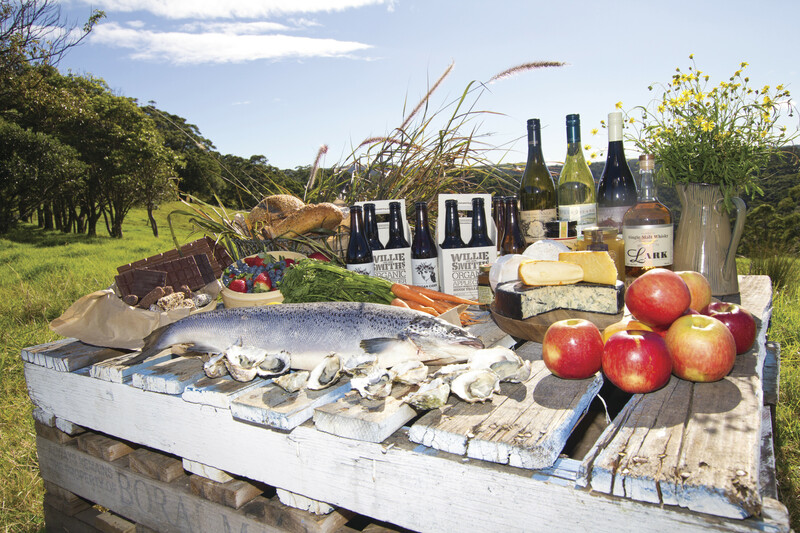 Launceston is Tasmania’s second major city and a vibrant hub for food and wine, culture and nature. The whole region is packed with city and country charm, gorgeous old towns, excellent food and wine and beautiful scenic highlights. One of Australia’s oldest cities, Launceston has one of the best-preserved early cityscapes in Australia with its elegant Colonial and Victorian architecture and century-old parks. Hobart offers a contrasting blend of heritage, scenery and culture, with world class activities and attractions nearby. Nestled amongst the foothills of Mt Wellington, Hobart combines heritage charm with a modern lifestyle in a setting of exceptional beauty. Take a walk along Hobart’s iconic waterfront, explore the Tasmanian Museum and Art Gallery or take a ferry up river to MONA for an out-of-this-world modern art experience. It’s no wonder Lonely Planet has called Hobart one of the top ten spots to visit in the world right now. Cradle Mountain is one of Tasmania’s most visited natural attractions. While there’s no actual town at Cradle Mountain, visitors can find a range of accommodation within the park in cabins, chalets and campgrounds. Part of the Tasmanian World Heritage Wilderness Area, the surrounding landscape is diverse and includes grassland, rainforest and ancient plants such as the long-lived King Billy pine and the native ‘fagus’ or deciduous beech. All aspects of the tour were handled with a great deal of thought to our comfort and wishing to improve our golf. Excellent work.